The Bitcoin casino market displays great signs of growth as more newly developed Bitcoin casino platforms are being introduced to the Bitcoin gambling community. Among the wide spectrum of these new gambling platforms, Oshi.io makes the most distinct buzz. Unlike other fresh entries in the market, Oshi is a Bitcoin-exclusive casino that is designed to give recreational and serious players a different taste of online gambling. Notwithstanding its greenhorn status, Oshi Bitcoin Casino has immediately stepped up its game by packaging itself as the Bitcoin casino that strides away from the conventional Las Vegas theme. Nick Garner, Oshi’s founder, shared in an online interview that the casino’s development team intentionally eliminated the idea of shrouding their product with the Las Vegas elements since they believe that any platform would still effectively operate, regardless of the theme. 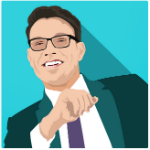 Garner is also the founder of 90Digital, a premium marketing agency based in the UK, and has spent 10 years working with iGaming leaders like Betfair and Unibet. Other than being a unique Bitcoin gambling platform, Oshi is designed to be as generous and accommodating as possible. Powered by SoftSwiss, this Bitcoin casino is packed with overwhelming features and services that are to complement any gambler of the Bitcoin community. Oshi is equipped with the provably fair feature to establish its fair treatment among players. 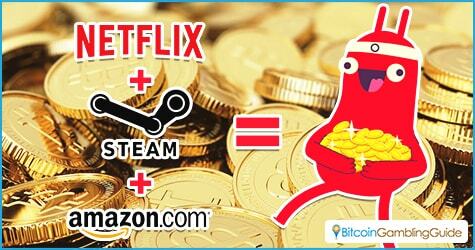 Moreover, this platform is packed with over 1,000 Bitcoin casino games from the industry’s leading game providers, particularly Amatic, Betsoft, and Ezugi. 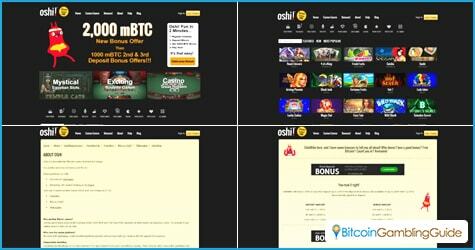 Oshi further extends its generosity as it offers new members with free bitcoins worth 2,000 mBTC. Existing members will also continue to receive in-house promotions and free spins. Oshi is still operating in its ‘alpha’ phase as of writing; therefore, few of its services or options may still be unavailable. Players, however, will experience an improved platform with more features and newly added options in the next two months.